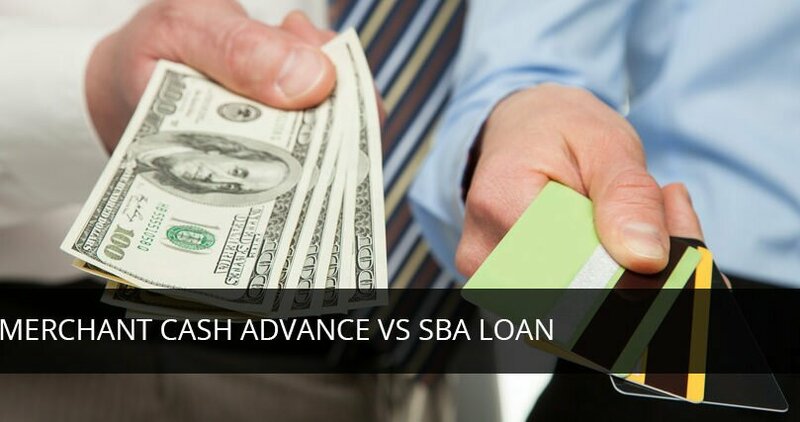 Buffalo Business Loans | Small Business Loans > Finance > A Merchant Cash Advance vs. SBA Loan: Which is Best? Merchant cash advance loans were one of the most common and well-known funding options for small businesses. It’s an option for those with bad credit, and it promises money in your bank account extremely quickly. Most entrepreneurs launching their first business usually opt for a Merchant Cash Advance (MCA), or they apply to get a commercial loan. There is also the option of sourcing your funding through an SBA loan. While an MCA loan and an SBA loan are both good financing options to consider, they are structured very differently. It is useful to compare the two options, as well as look at the ways that they differ in terms of repayment rates, the necessary qualifications for each, and how quickly you can receive your funding. While there are distinct benefits for each, either one may not be suitable for a variety of reasons. Many people are under the impression that an MCA is a loan. This is not technically the case. Providers of an MCA do not loan you money in the traditional sense. Instead, they buy your future credit card receivables, and they do so at a discount. Any lump sum that you borrow is repaid through a percentage of your daily credit and debit card profit. It is known as a ‘holdback percentage.’ Remember that your card payments can fluctuate daily, and that means the amount you pay back on a daily basis can vary. Overall, this means that the total amount that you repay can fluctuate wildly. Your APR will generally be somewhere between 80% and 120%, and you should expect to finish repayments usually within 4-18 months. This can be much higher than the repayments offered to standard business loans that can be used for financing a business acquisition. While this unpredictability can be a concern, it is often used because of the fast rate of lump sum payment, which can be as quick as 1-3 days after approval. Set rates: Because SBA loans are essentially bank loans, they come with traditional bank rates. While the SBA does not set any of the rates for an SBA loan, they can set a maximum markup limit on the lender. You can expect to pay rates of around 8.5%, although SBA 7(a) and 504 loans are likely to have a rate that is lower than 7% (usually set at 6.5%). Terms and conditions: SBA loans are far more likely to have better terms. The majority will conclude at 3 years from the loan date, although it is possible to have these extended up to 25 years. This will be dependant on what you are using your SBA loan for. Fees: These are usually much lower with an SBA loan than they will be with an MCA. The fees can still be substantial, however. While these may seem to be sound financial reasons for choosing an SBA loan over an MCA, remember that the application process for SBA loans can be complex and time-consuming. If you have all of the required paperwork ready, it can still take anywhere from 60 to 90 days (at a minimum) before you receive your money. Who should get a merchant cash advance? Protecting your credit score: Because merchant cash advances do not fall under the umbrella of traditional loans, obtaining one will not affect your credit score. As they are not recorded on your credit history, an MCA is ideal for those that are concerned about their ability to obtain a loan in the future. Seasonal businesses: You will pay less on your repayments during periods when you are not generating profits. As you make more revenue, your repayments increase. If you make substantial profits during the summer period but are quiet for the rest of the year, then an MCA is an option well worth looking at. The lack of monthly set payments can give you a lot more freedom. Online businesses: Almost all eCommerce stores should give thought to applying for an MCA. That’s because repayments are only made on card payments, and people are rarely able to pay with cash when buying online! For eCommerce stores, it is more likely that you will receive a higher advance in exchange for a percentage of your daily receipts. For businesses that take more payments in cash or checks, then an MCA may not be a viable option. For those businesses, it may be more practical to look closer at an interest only business loan. Despite these advantages, there are still some inherent dangers of an MCA. One of the most obvious is the repayment rates. An MCA can be considerably more costly than both an SBA and a traditional business loan. This is because although they are not technically considered as loans, an MCA does not usually last for longer than a year. It means that providers do not have to follow set regulations on interest rates and can charge higher rates. Comparatively, these are much higher than you would get from more traditional funding options. You should expect to pay back between 60% and 200% of your initial borrowing amount. That can be a very risky option for new businesses who are unsure of what the future is going to bring. Be aware as well that the lack of regulation means that there are some unscrupulous lenders out there, and you should always do your research before signing for any form of loan. If you’re looking for ways to give your business an injection of funds, then these two options are well worth considering. Although their use will be dependent on your type of business and trade, there are clear benefits to both. However, the protection offered by an SBA loan could be the decider when it comes to giving your financial resources a boost.